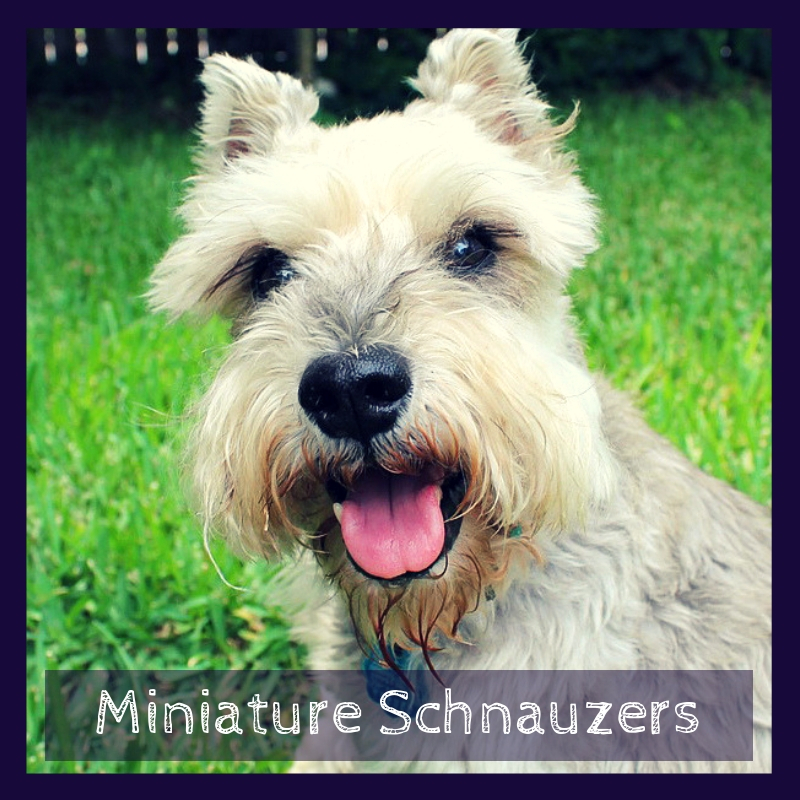 Miniature Schnauzers: The "Owners Manual"
Sweet, playful, and charming are the traits that endear miniature schnauzers to potential dog owners. Their soulful eyes and the bushy eyebrows and beards are the trademarks that distinguish this beautiful breed. The mini schnauzer is loyal, confident, and intelligent, yet stubborn. These characteristics make them stand out from similar small dog breeds. They love to chase, dig, and are excellent watchdogs. They also feel bigger than they are which makes them very vocal, meaning they like to bark often. Generally, the mini schnauzer is colored salt and pepper, black and silver or simply black. There is also white miniature schnauzer. However, some breed associations exclude this kind of color. The prominent features that mark the mini schnauzers are its strong muzzle, squat and short bodies, long face, and the signature thick whiskers. Regular grooming is a must for these dogs. This should include trimming of the nails, cleaning of the ears, clipping its coat, and bathing. The miniature schnauzer’s double coat consisting of a softer undercoat with a wiry and hard protective overcoat needs to be groomed every day. The schnauzer’s hair can quickly become matted and tangled when it is not groomed regularly. The teeth of these dogs must be brushed every day. Periodontal disease is better prevented than cured with daily oral care. Maintaining optimum health for this small and active terrier needs the right combination of calories and nutrition. The average weight of adult miniature schnauzers is 15 pounds. The daily nutrition needs to meet the active lifestyle of the schnauzers must contain carbohydrates, fiber, and protein. Commercially prepared dog food containing all the nutrients, antioxidants, vitamins, and minerals should be from a high-quality dog food brand. Dietary adjustments have to be properly and personally adjusted by the vet because of the high susceptibility of schnauzers to genetic health problems. Training should start right away with the miniature schnauzers. An authoritarian attitude is a proper way to train schnauzers. Scolding and yelling should never be done since they are curious and active, yet stubborn. The reward method works perfectly when it comes to training them. It is recommended that all members of the family should spend some time with their pet schnauzer. They are very social animals that become easily attached to their family. Schnauzers tend to suffer separation anxiety and even become destructive if they are left alone too much. Game play or dog trick training is the mental challenges that will make the schnauzer thrive. This breed is ultra smart and letting them figure things out or making them do jobs are the activities to make them happy and contented. The key elements to make the training successful are short sessions done patiently but firmly. One of the irritating habits schnauzers have is their incessant barking. Training can reduce but never totally stop it. Sitting around and doing nothing is not an activity for this feisty and mischievous breed. Schnauzers tend to veer towards destructive behavior when they are bored. Young puppies normally exhibit this behavior which can be curtailed with the proper training. A puppy needs entertaining which could not be possible all the time. The best remedy is to confine the puppy to an outside area that is strongly and fully fenced. Exploring the area will not only give a young schnauzer its daily exercise but also keep it from becoming bored. As the puppy turns into an adult, daily long walks or short but frequent walks are the exercise routine schnauzers need to maintain their health. A discussion with the vet about the right kind and amount of exercise is the best option. 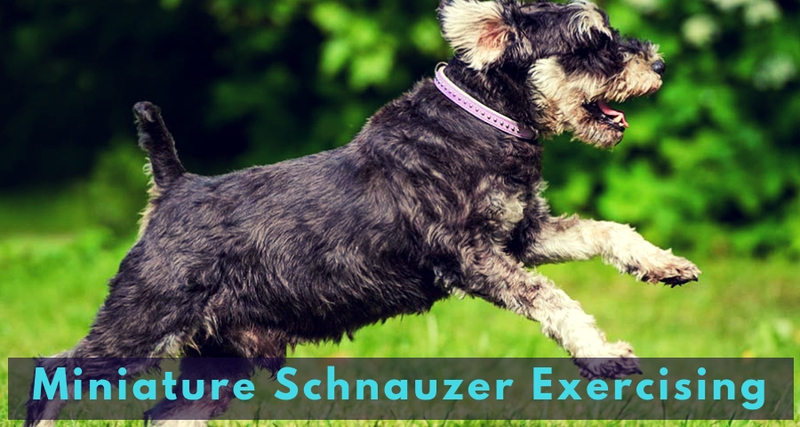 Schnauzer owners can take the extra mile by checking out dog parks near their home’s location or purchasing dog agility products. The important thing is to make the exercise a fun bonding time between the pet and his human. Yes. 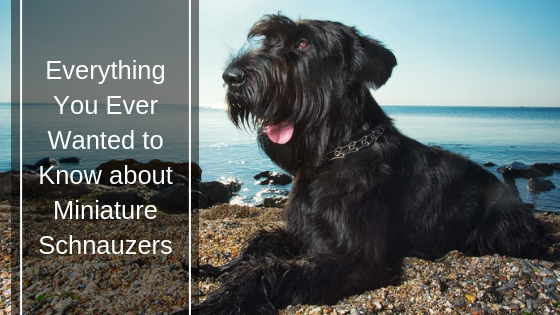 Schnauzers are a great choice to have as an emotional support canine. Their cheerful, loving, and vivacious personality can quickly uplift his owner’s spirit and mood. Schnauzers have actually been included in the list of the best psychiatric service dog breeds. Their small size and obedient nature make them a great choice for owners that need to travel often and prone to stress and anxiety. A medical condition called come dones syndrome is also popularly known as “Schnauzer bumps.”This kind of skin condition is so common among miniature schnauzers, hence the name. The bumps may contain pus and are usually located along the spine. The bumps can only become harmful when they get infected. Antibiotics usually clear the problem. As it is an inherited condition, flare-ups are bound to happen during the entire lifetime of the schnauzer. Another genetic condition that schnauzers are prone is photoreceptor dysplasia. The condition is a progressive retinal atrophy that can eventually make the schnauzers blind. Symptoms such as walking into things, lack of curiosity, and a hesitation in walking around is already a sign of the rapid advancement of the condition. Schnauzers have a genetic tendency to retain a lot of triglyceride fats in their blood. This condition known as Hyperlipidemia can be avoided with the correct diet monitoring. The regular monitoring of triglyceride levels coupled with a low-fat and high fiber diet are the best ways to avoid this medical condition from developing. Rare blood disorders such as thrombocytopenia and hemolytic anemia particularly happen to schnauzers. These are auto-immune diseases that can cause abnormal clotting and bleeding, lethargy, anemia, weakness, and gum problems. Schnauzers are highly susceptible to these blood disorders. Blood transfusions or immunosuppressant drugs may be required if and when this occurs. Owning a miniature schnauzer is not only fun and exciting. The breed can also be trained as a therapy dog to help their owners, as well as other people, cope with “activities of daily living,” both mentally and physically.